For those students who choose dynamic and contemporary approach to language learning, we have devised exiting and unique study travel packages – My Language Experience programs. What makes them unique is the opportunity to bring the culture of the chosen location into the heart of the learning environment, thus turning language lessons into an unforgettable experience. Our programs efficiently blend school hours with sightseeing and cultural tours, which are a real life addition to the course book. They offer short time student an unbeatable specialised cultural learning experience. We also understand that when you attend one of our partners’ courses abroad you don’t just want to improve your language skills – you want to have a great time too! This is why we prepare an extensive range of social activities and trips to make sure that you get the most out of your stay. 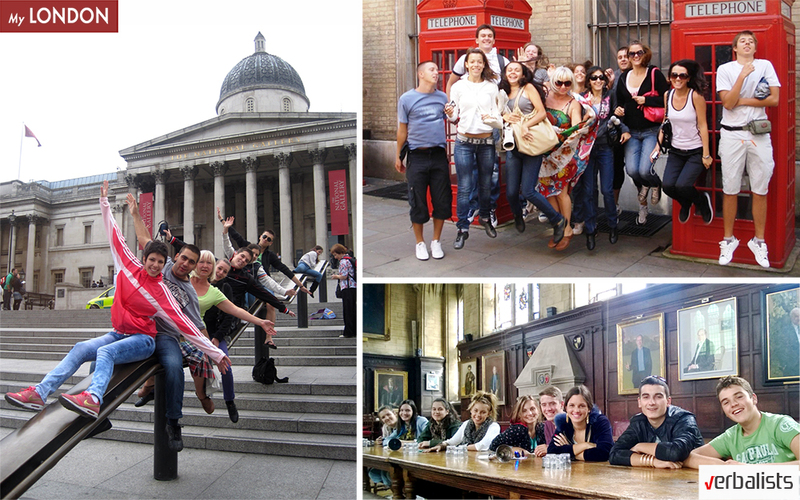 In fact, by far the most popular language program for 12 years in a row has been My LONDON program, which includes the guided sightseeing excursions in the morning, whereas afternoons are reserved for language study at the school. My Language Experience programs welcome language and travel lovers age 16+. Please contact us to enroll or find out more about My LONDON program, or to learn about other attractive destinations in our offer. Should you decide to improve your English in sunny California and to be in the center of movie studios and movie stars, then wait no more, contact us and we will make sure your language study happens on the famous Sunset Boulevard. This street is an icon of Hollywood celebrity culture and the phrase “Sunset Boulevard” is an enduring shorthand for the glamor associated with Hollywood. Kings Colleges’ modern school is located right on the Sunset Boulevard, and our My LOS ANGELES language experience program, specially designed for entertainment and movie lovers, will make your stay in the “Entertainment Capital of the World” unforgettable.